Texas Higher Education Coordinating Board rule 21.25 requires that each student applying for enrollment at an institution must respond to a set of core residency questions for the purpose of determining the student’s eligibility for classification as a resident. This information will not be processed unless a current application for admission is on file. Resident status for tuition purposes in the State of Texas is governed by the Texas Education Code, Section 54.052 through 54.064 and rules and regulations promulgated by the Texas Higher Education Coordinating Board. Failure to provide complete and accurate information, supporting documentation and appropriate signatures will delay processing, and may result in denial of your application for residency. Requests for reclassification must be received prior to the official census date of the term for which you are requesting reclassification. The official census date is the twelfth class day of fall and spring semesters, and the fourth class day of the regular summer term. Students should submit their request at least 30 days prior to the official census date. Generally, your request will be processed within 7 to 10 university business days from the date your file is completed. Requests for a change in residency received after the official census date will be considered for the following semester. If you believe you qualify for resident tuition rates based on the criteria stated below, please review and complete the Residency Core Questions form. For additional questions or concerns regarding residency, contact us by email at residency@uhcl.edu. To be considered a resident for tuition purposes; you must have an eligible legal status, and be gainfully employed in Texas at least 12 consecutive months prior to enrollment in an institution of higher education. If you are basing your claim to residency on a parent or spouse, they must have met the same residency requirements, and have claimed you as a dependent on their federal income tax return for both the year of enrollment and the previous tax year. There are additional rules and opportunities for waivers. To view the entire list of rules and exceptions, go to the College For All Texans Residency Information page. Lived in Texas three years leading up to graduation from a Texas public or private accredited high school or three years prior to receiving your GED in Texas. Any individual wishing to qualify under this provision who is not a U.S. citizen or Permanent Resident of the United States must complete and be eligible to certify and submit an Affidavit of Intent in addition to the Core Residency Questions. If you are a non-immigrant who is present in the United States on a temporary or student visa, you are not eligible for reclassification to resident tuition status. If you are a student on a non-immigrant visa permitting residence, you may also be eligible to receive resident tuition rates, based on the same regulations in effect for U.S. citizens. Go to the College For All Texans Residency Information page for the current list of eligible visas. If you are a non-immigrant who has been lawfully admitted for permanent residence in the United States, we will consider you for Texas residency based on the same regulations in effect for U.S. citizens. 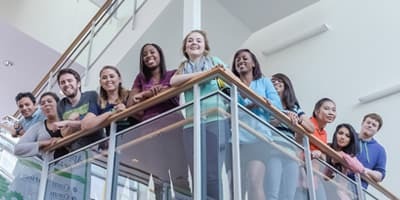 If you are a non-immigrant who has a petition with the U.S. Citizen and Immigration Service that has been accepted or is in the applicant stage; and you can provide a copy of your I-485 approval or I-485 receipt, you can request consideration for Texas resident tuition based on the same regulations in effect for U.S. citizens. It is your responsibility to notify the Office of Admissions (for UHCL applicants or new students) or the Office of the Registrar (for currently enrolled students) if you believe you have been incorrectly classified, or you have a change in eligibility status. These changes include becoming a non-resident, being denied a pending legal status, etc. If you wish to file a request for a change in residency, or request a waiver based on the current rules and regulations, you should submit the appropriate paperwork and documentation at least 30 days prior to the desired semester. 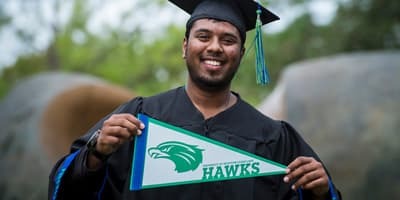 It is your responsibility to make the initial payments or payment arrangements if you do not provide the appropriate information in time for UHCL to review your tuition status. Students are expected to make payments or payment arrangements by the appropriate payment deadlines for each semester. If you are a prospective student, you must have submitted an application for admission prior to submitting a residency application. Requests for changes in residency status will not be processed unless a current application for admission is on file. To be considered, you must submit the Core Residency Questions form after you or a person of whom you are a dependent have lived in Texas for 12 consecutive months. You must submit all relevant documentation that you would like to be considered and submit this information to the appropriate office by email, fax or in person. When is the deadline for submitting my request for a change in residency? You should submit your request no later than 30 days prior to the start of classes of the semester for which you are requesting the change; however, your request for reclassification or review of residency must be made no later than the census date of that semester. The official census date is the twelfth class day of any fall or spring semester, and the fourth class day of the regular summer term. What other documents should I submit with the Core Residency Questions form? If married, a copy of your marriage license showing that you have been married for at least one year4. After a review of your residency materials, the residency officer may request additional items in order to assist in determining your correct tuition status, including proof that you maintained a domicile in Texas. Students with F-1 visa status can qualify through high school graduation via Senate Bill 1528. 1Domicile is a person’s principal, permanent residence to which the person intends to return after any temporary absence. To establish domicile a person must physically reside in Texas with the intent to maintain domicile for at least 12 consecutive months immediately preceding the census date of the term of enrollment, allowing for documented temporary absences. 2Part-time hours should indicate the average number of hours worked, during the period of employment. 3Additional information may be required. 4If effective date of visa is less than one year. Your parents met requirements, to and have claimed a temporary absence from Texas. You are over the age of 18 and your parents did not claim you as a dependent on their current federal income tax return; in this case, you would be eligible to establish residency as an independent student. I am currently attending UHCL as a Texas resident, but my parents will be moving to another state. Will I still be classified as a Texas resident? Once you enroll as a Texas resident, your status will not change as long as you remain continuously enrolled in a fall or spring semester. I am currently enrolled at a Texas college or university and am classified as a Texas resident. Will my residency status transfer to UHCL? 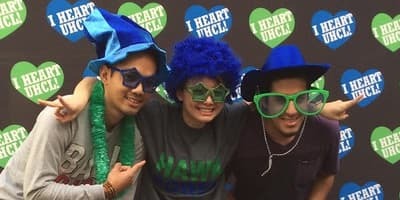 If you were classified as a Texas resident while you were enrolled in another public Texas college or university; and, you were enrolled for more than one summer term in the past year, you will generally be classified as a Texas resident if you enroll at UHCL. You may be required to verify your residency classification at the previous institution to be classified as a resident at UHCL. Your previous classification can be changed, if there is new information to support an error in your initial classification, based on information that was incorrect. If you were enrolled at another public Texas college or university for only one summer term, you will not qualify under this rule. I received resident status sometime after classes started. Will I receive a refund for the out-of-state portion of tuition and fees that I previously paid? You must submit meet qualifications for resident tuition by the census date of the relevant term, in order for your classification as a Texas resident to be effective for that semester. If you meet qualifications after the census date, your new tuition status will be effective for the following semester of enrollment. I moved to Texas to go to UHCL (or another college/university). But I think I now meet the criteria for establishing residency. Is it possible for me to be classified as a resident? In general, people who move to Texas to attend college are presumed not to have the required "intent" to make Texas their domicile. In some situations, however, this presumption can be changed if the student submits "clear and convincing evidence" that he or she has established and maintained a residence or domicile, as appropriate. If I was not in the state for 12 consecutive months before I enrolled, can I still be considered for resident tuition? If you did not establish a domicile in Texas 12 consecutive months immediately preceding the census date of the term of enrollment, you may still be eligible to receive resident rates through “documented” gainful employment. Gainful employment = Employment that is sufficient to provide at least one-half of the individual’s tuition, fees and living expenses as determined in keeping with the institution’s student financial aid budget or that represents an average of at least twenty hours of employment per week. A person who is self-employed or who is living off his/her earnings may be considered gainfully employed for purposes of establishing residency, as may a person whose primary support is public assistance or one who intends to avoid the expense of paying another person to perform tasks such as childcare. Employment conditioned on student status, such as work study, the receipt of stipends, fellowships, or research or teaching assistantships does not constitute gainful employment. What is Senate Bill 1528 and who qualifies for it? Submits an Affidavit of Intent stating that the person will apply to become a permanent resident of the United State as soon as the person becomes eligible to do so.